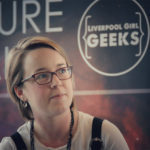 Jo Morfee, the director of Liverpool Girl Geeks, will advise the Government on its new Digital T Levels. Earlier this week, the Education Secretary announced that the first 3 T Levels would be in Digital, Construction, and Education and Childcare. They would be the technical equivalent of A-Levels and be taught from 2020. Morfee will be part of the Digital T Level Panel, to advise on the knowledge, skills and behaviours required in the digital sector. “I am honoured to be serving on the Department for Education’s Data and Digital Business Services T level panel, alongside representatives from many of Britain’s leading digital and technology employers," she stated. Representatives from EDF, Rolls Royce, Fujitsu and Lloyds will also be on the panels. “I am delighted the government is pressing ahead with these essential reforms to technical education. T levels will increase the life-chances of many thousands of young people, while at the same time helping to ensure British industry remains competitive,” stated Lord David Sainsbury, chairman of the Independent Panel on Technical Education, whose report led to the reforms.